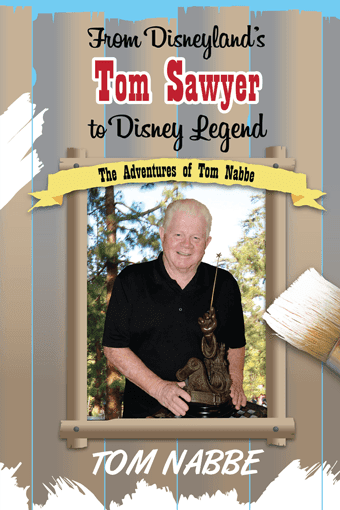 From Disneyland’s Tom Sawyer to Disney Legend: The Adventures of Tom Nabbe by Tom Nabbe outlines a Disney career that arches over 5 decades. Nabbe was there on opening day at Disneyland, standing in the crowd as invited guests entered the park. The youngster would actually get to enter the park that first day though he would not be able to ride his favorite ride. Nabbe’s history with the park actually started earlier as he relocated to Anaheim and was lucky enough to watch the park grow up from the orange groves it replaced. The boy started in the park selling newspapers and would eventually be hired by Walt Disney to be the first Tom Sawyer walk around character for Tom Sawyer’s Island. Nabbe would spend several summers in this role, until he became too old to play the role. He would then move into other jobs at Disneyland, eventually after a stint in the Marines, entering a management track. His career would then take him to new and unexpected places which included relocating to Orlando and providing supervision in portions of the Magic Kingdom Park. He would later move into distribution services managing warehouses that helped build Epcot, supply Walt Disney World, and support expansion under Michael Eisner, and even Disneyland Paris. Along with his Disney history, Nabbe provides information about his personal and family life. The book ends with an essay by Keith Murdock, the second Tom Sawyer who filled the role after Nabbe became too old. I really liked From Disneyland’s Tom Sawyer to Disney Legend. I flew through the book as I found Nabbe’s recollections interesting and in an easy to read tone. I felt like I was listening to him tell stories about his time with Disney and even found his later accounts of warehouse work to be highly interesting. I am thrilled this Disney Legend’s thoughts are captured for fans like me to enjoy. Sometimes I find Nabbe’s Disneyland hard to imagine. He goes into some depth on the fishing that occurred from the dock on Tom Sawyer Island. In today’s legal minded society what I read was honestly hard to comprehend, but it happened. I just cannot see any lawyer today allowing a company to let a teenage boy supervise adults and kids by himself on an attraction. And I cannot comprehend that any lawyer would sign off on untrained guests swinging a line with a hook near other guests within the park. And this does not even include the sanitation issues with fish in the Rivers of America dying due to the results of the catch and release program. Yes, this is a different time and park then I have ever known. 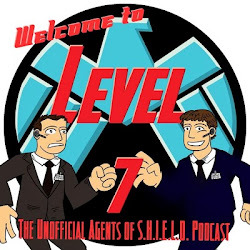 Tom Nabbe was a company man. He was hired by the man with his name on the door! His story filled with love and dedication to his job and family both entertains and inspires. Disneyland’s Tom Sawyer to Disney Legend is sure to delight those who wish to remember the early days of Disneyland or the creation of Walt Disney World as they lazily sit by the river with their line dangling in the water. This is a fan site and is in no way affiliated with or endorsed by the Walt Disney Company. Simple theme. Powered by Blogger.